The main goal of this pilot is to lower the supply temperature in the DH system. The gain from this is that the energy losses to the surrounding will be lowered and also enables increased production of electricity at LuleKraft AB. Tests will be performed to evaluate the impact this has on the grid and end consumers. 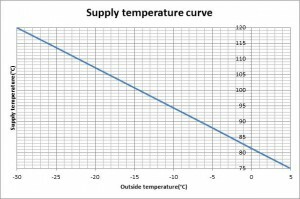 OPTi-Sim should in the end be able to calculate a supply temperature from the incoming information about the production case. 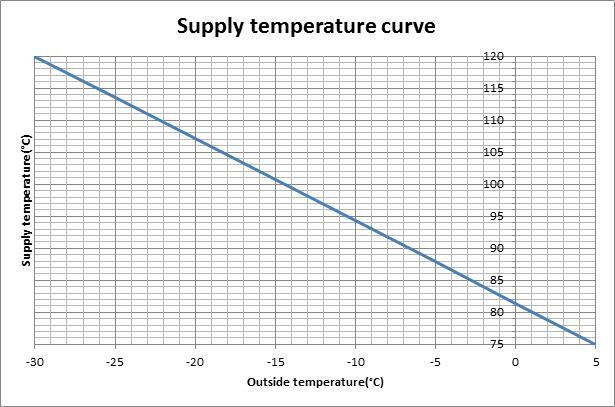 Supply temperature curve at different outside temperatures.